Sketch 54 has arrived – their first update since raising $20m in Series A funding. New features include Dark Mode 🌗 and Snapping 💢. Read about them, and everything else that’s new in their update. 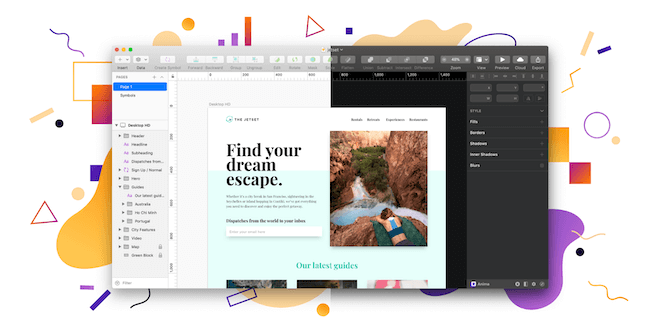 Apart from Sketch, another big announcment was the release of unDraw for Adobe XD 😍 – check it out amongst 6 new tools in the toolbox section below. Top design news from the last week. latest and greatest design tools..
New additions in the Prototypr Toolbox. Beautiful images for your design projects. A new kind of plugin, exclusively on Adobe XD. Easily create living styleguides and keep all your design system documentation in one place. Conduct eye tracking tests using an iPhone or iPad, no extra hardware required. The Scratch UI Kit has all you need to build a recipe book that would make your Grandma jealous. A browser-based video calling platform that combines collaborative tools such as a digital whiteboard, shared text, and code editors. A new plugin to automate visual design testing. Works for typography, color, spelling, contrast, and padding issues.